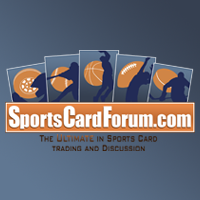 This morning I'm going with a blaster of Upper Deck from 14/15. I'll be looking for some fun inserts and a couple of Young Gun rookie cards in this box. There is no guarantee of a hit in these, but the quality you find in Upper Deck Series One is always rock solid. It's a product that just about anyone can enjoy. 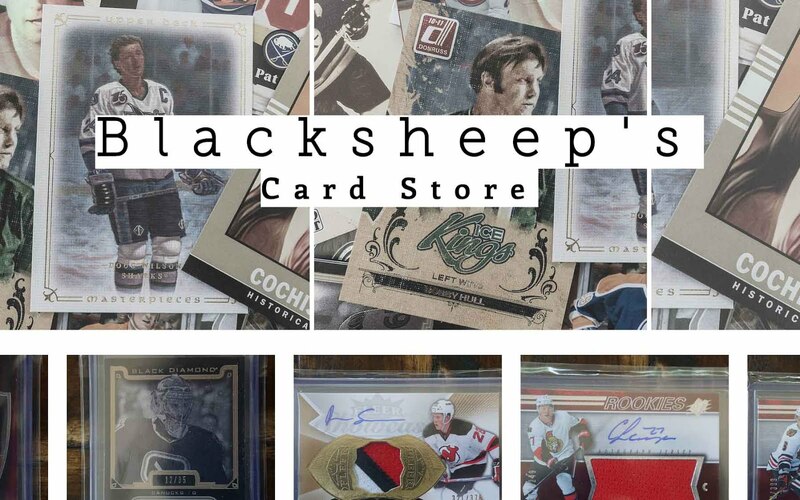 Upper Deck Series One is one of the most anticipated products to come out during the hockey season. Upper Deck must make an absolute ton of this stuff, but the cards hold their values well - especially the rookie cards. 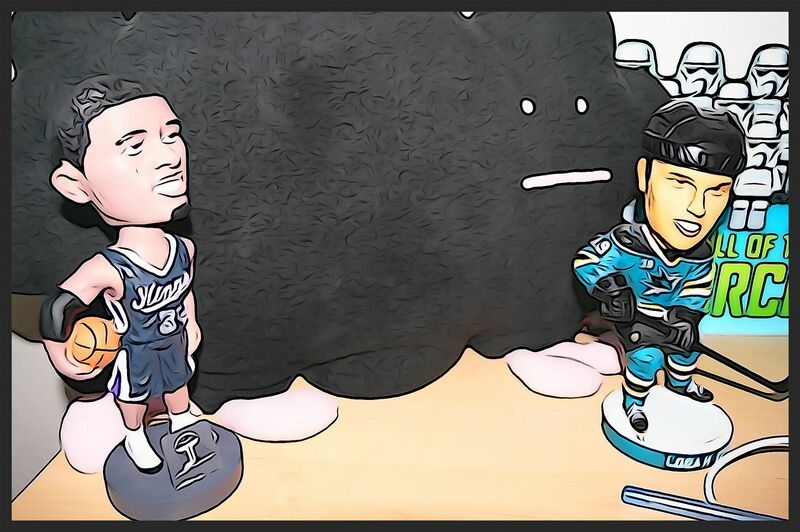 A player's Young Gun rookie card can be the most desired card of that player. 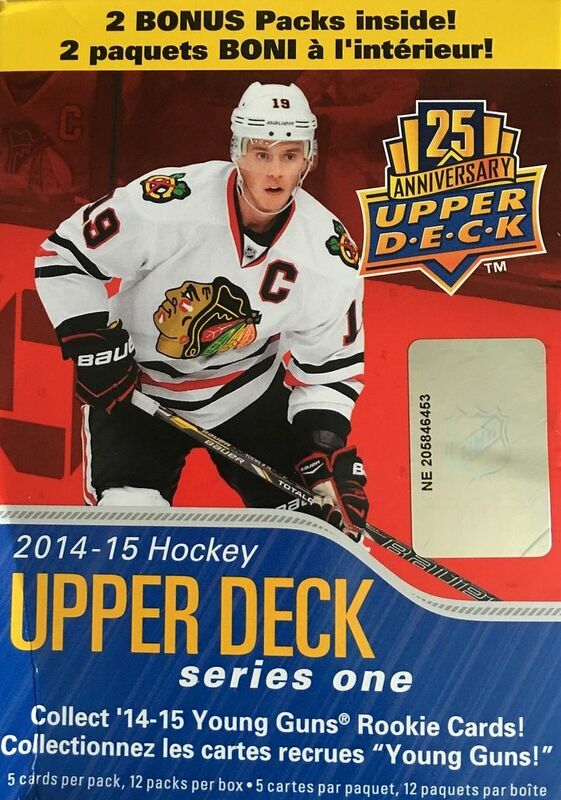 14/15 was a good year for Upper Deck Series One. It had a very nice design overall with the YGs having a clean and crisp look. The cards are nice to look at and collect. This particular box was very nice. I was able to pull a couple of good Young Gun cards as well as 2 other insert cards. Opening this blaster I have to say that the photography from this year definitely stands out. There are so many great images that made me stop and just look at the cards. I think it's very impressive when a card set can do that. I really enjoyed this break and am glad I was able to find value in it eve though there was no jersey or autographed card in the box. 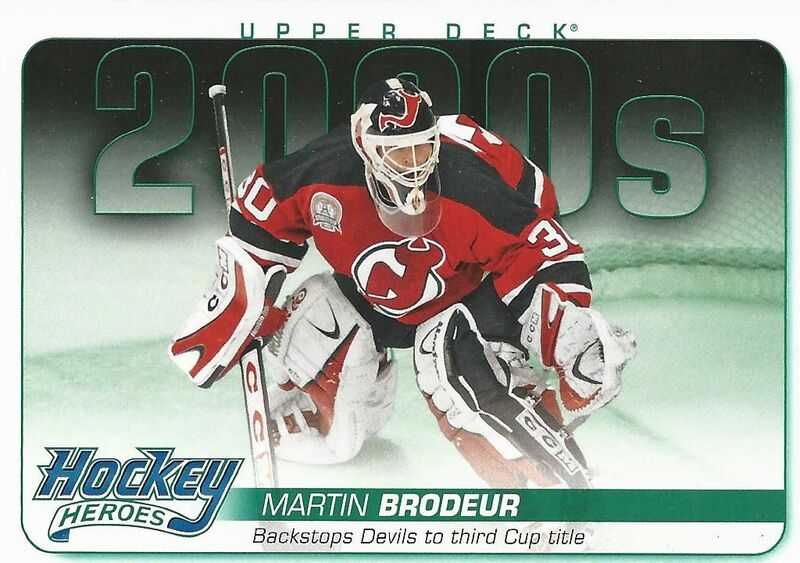 Hockey Heroes are not my favorite card, but I do applaud Upper Deck for creating a set that has spanned many Upper Deck sets throughout the years. It was astonishing to see that this card was number 70... I wonder who has been collecting all of them! This year's Canvas cards set has a classy look with strong alternate images to the standard base set. Recently I have been disappointed in some of UDs card designs. I hope that they can get some of their mojo in next seasons release. 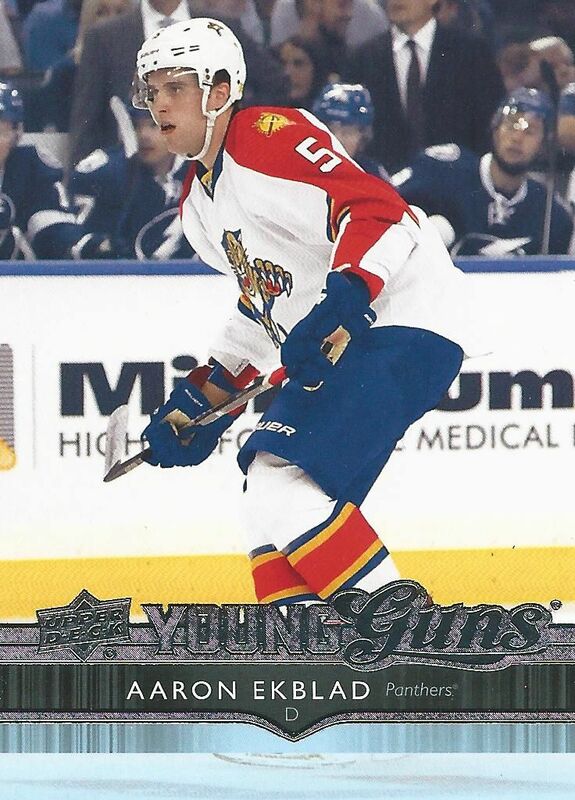 Ekblad was a stand out rookie in 14/15 and had a good standing in the collector community. I was definitely happy to find his Young Gun in the packs that I got within the blaster today. This card sells for a decent amount on the secondary market. 14/15 was a very good year for Upper Deck. I would definitely recommend this year's set if you're looking for great looking cards. There is always a lot to like when it comes to Upper Deck Series One, so if you can find some at a good price don't hesitate to pick it up!